You can now add live chat to your website in very simple way. Login into Learnyst as admin and go to Website builder ---> Settings ----> Live Chat. Go to www.zopim.com or any other 3rd chat service providers and signup with your email id. Go to your email id and verify your signup. Once your signup is verified you can login into www.zopim.com. 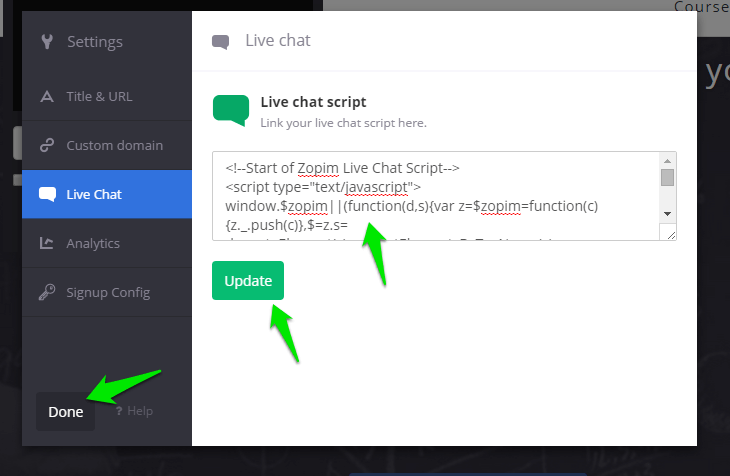 As soon as you login your chat script is displayed on your zopim home screen. Also you can find the same script in Widget section on side bar. Copy the chat script and come back again to Website builder ---> Settings ----> Live Chat. 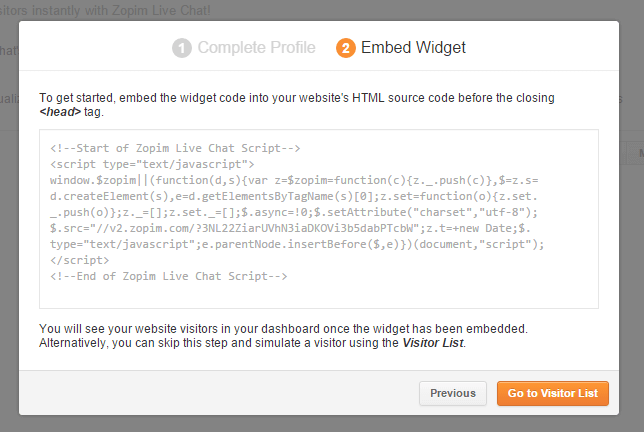 Link your live chat script by adding that script in the text area as shown in the picture below. Click on Update and Done. Then in website builder sidebar click on Save and Publish. Zopim chat will be added to your website.